The Australian Brandenburg Orchestra (ABO) treats attendees to the most beautifully curated and seamlessly arranged concert of the season. Two expert soloists delight music lovers with a repertoire that features the music of two great friends - Haydn and Mozart. 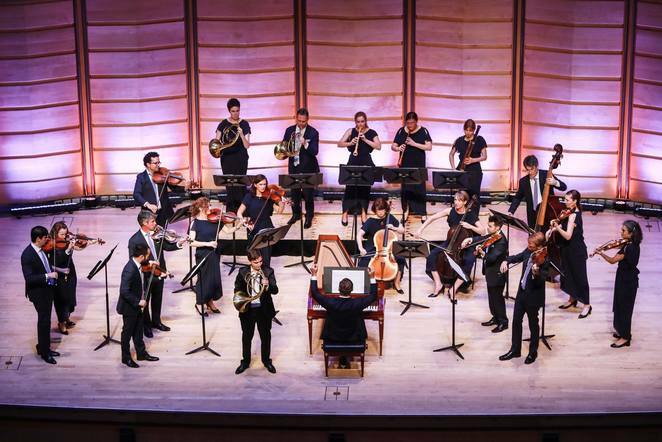 This evening, Australia's Jamie Hey on cello and Belgium's Bart Aerbeydt on the natural horn create a friendship of their own through performing the work of the baroque masters. The night begins as is often the case; without fuss or chat. 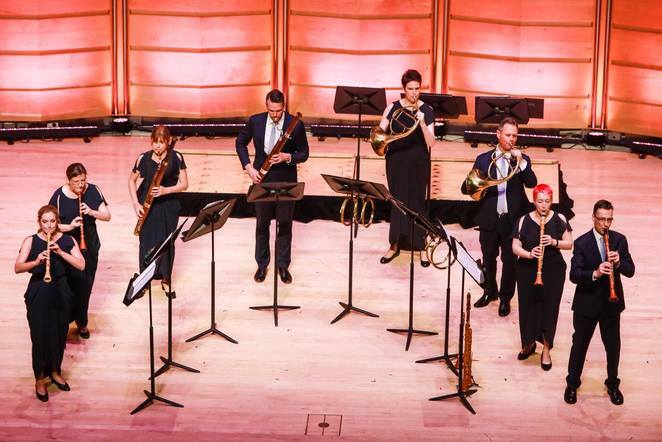 We start off with contemporaneously obscure but baroquely famous Cannabich, whose Sinfonia treats the Sydney crowd to a slew of instruments not normally featured by the ABO – clarinets, bassoons and natural horns. Even more interesting on a night billed as a soloists showcase was that neither featured soloist was on stage. The opening piece is light, ethereal and fun with the players bobbing and swaying as Dyer accompanies on the fortepiano. The 2nd piece, clearly chosen to showcase Hey on cello, was the best of the night. 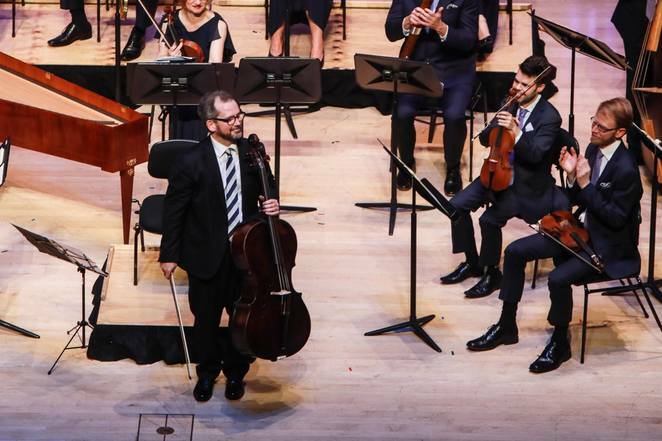 Hey's deft performance was heightened by Dyer's composition of the instruments on stage and choice of pieces – by placing Hey centre-stage as the only cello on stage allowed him to serve the role of both base-line and soloist. The way in which he pops out of the music to stand alone and then subside back into the flow of the music was a pleasant surprise and something your reviewer had not previously experienced. This makes the solos as much a surprise as they were a treat to listen to – a treat that was surpassed with Hey's mesmerising performance of Prelude from Bach's Cello Suite #1 in G major as an encore piece before intermission. Following on from intermission we were treated to a baroque octet – two clarinets, oboes, bassoons and natural horns playing excerpts from a Mozart opera. This was truly magical – almost like a live small group performance of a movie soundtrack gone by. This piece, and placing it on the back of intermission, is a testament to Dyer's ability to feature players who do aren't always front-and-center in the ABO– winds and horns – while also leveraging the same natural horn talent we have seen in previous programs. The fourth and final piece also gives us our first chance to hear Dyer entertain the crowd – and while we always find him so engaging and enjoyable he was particularly gregarious tonight! After introducing us to Aerbeydt and his 200-year-old natural horn, the ABO stunned the crowd with a somewhat familiar tune to concert goers – Mozart's Concerto for Horn (No. 4 – E Flat). 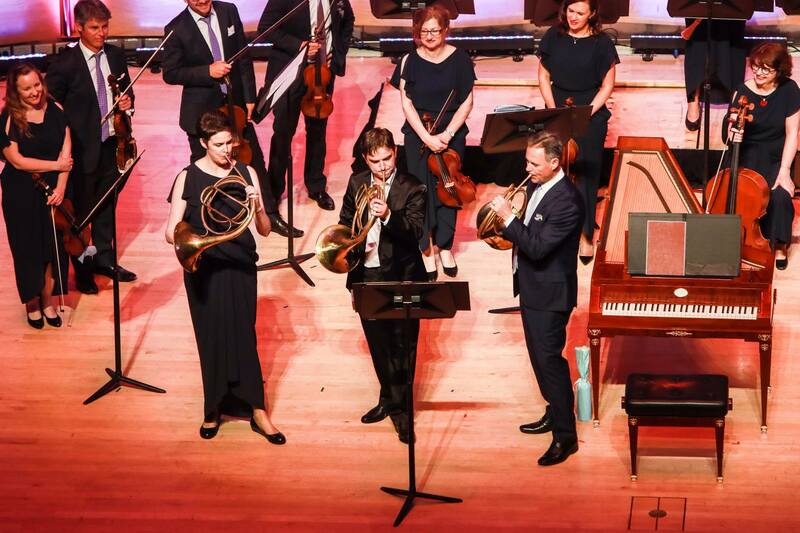 But whereas most listeners have probably heard this performed by a larger orchestra and using french Horns the real treat was hearing Aerbeydt perform it on his Natural Horn (think a long copper tub, rolled in circles, without valves or slides). Lacking the modern touches of the french horn, Aerbeydt must move his hand in and out of the bell and in different shapes to create different tones. This creates the eerie effect of sounding one-part jazz trumpet, one-part hunting horn and all parts unique.